How Does Hotel WiFi Affect Occupancy Rates? What these numbers are saying is that a hotel’s wireless performance plays an important part in initial bookings and repeat business. With the over 700 million smartphones in use, expected to reach 1.9 billion in five years, the need for superior wireless service is not a fad; it’s a fact of life. Yes, wireless can play an important role in occupancy rates, but it has another side as well. A robust wireless network is an important productivity tool. 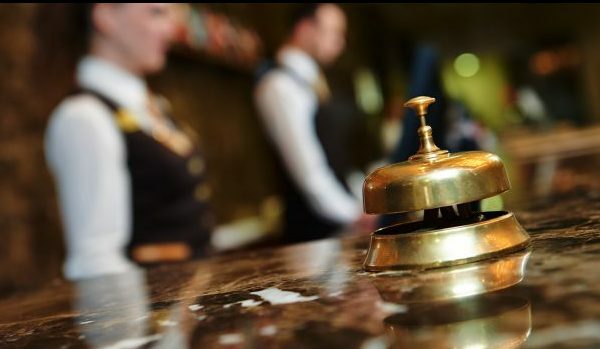 It can be used to streamline operations in asset management, security, tracking guest requests, environmental controls, point of sale transactions and can even be used as guest room keys. A smart design coupled with a stable, reliable, scalable wireless network can make a significant contribution to productivity and the hotel’s bottom line. Does your wireless network let you stand out in a crowd? It’s all about capacity and coverage. Coverage in just the rooms is not enough. Every nook and cranny of the property has to have coverage to fully exploit the value of wireless and of course give your guests connectivity wherever they go, including elevators. Inconsistent service and dropped signals are the biggest complaints heard from hotel guests when it comes to their wireless experience. And then there’s security. As the number of wireless users expands, so do the opportunities for thieves and hackers to attack. Does your network use the newer WiFi security protocol, WPA2 and its Advanced Encryption Standard (AES), or does it still rely on the older and less secure technology of WEP or original WPA protocols? A vulnerable network not only exposes your guests’ data, but it also exposes the property’s wireless driven applications as well. Download our eBook: Hospitality WiFi Benefits! Deep Blue Communications is an industry leading wireless turn-key organization that counts dozens of hospitality brands as customers including preferred vendor status with Wyndham Hotels and Resorts. The company’s cutting edge network designs coupled with its Top Dog Partner relationship with Ruckus Wireless makes it the “go to source” for all of a property’s wireless needs. While Deep Blue Communications’ network designs are uniquely customized for the specific needs of a client, another secret to amazing performance is the wide array of wireless products available through Ruckus Wireless not the least of which is their industry changing antenna technology. Complete coverage, fewer access points (AP), scalability, reliability and flexibility are the hallmarks of a Deep Blue Communications installation. And installation is just the start. Deep Blue offers 24/7 monitoring and support both remotely and on site. Monitoring systems that do an amazing job of load balancing ensures that users have the band width when they need it and where they need it. In short, your wireless network becomes an asset that you can advertise with confidence.